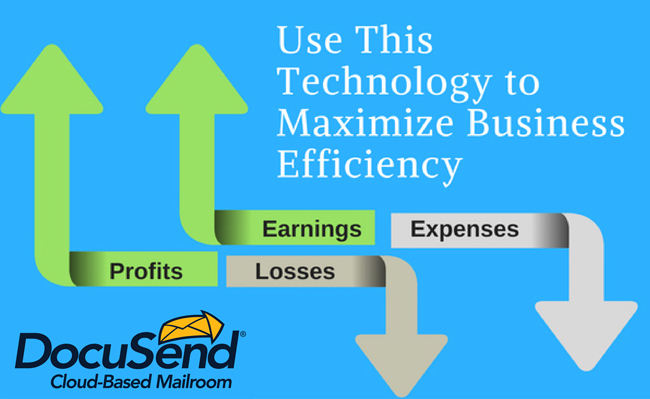 Can Your Company Use This Cloud-Based Mailroom Technology to Maximize Business Efficiency? ''Time is money'' is a tried and tested adage, but it's never been truer for small businesses who simply can't afford to waste time. Technology offers countless opportunities to maximize operational efficiency and increase productivity, and therefore decrease expenses and save you time. These newfound hours can be used to market your business and increase sales, but you first have to take advantage of the technology. For example, it was not that long ago when companies had to take a physical impression of a credit card with a small hand device that pressed the card against carbon paper and transferred the image to a piece of paper. Today of course, the cards are scanned through a reader and the payment is made instantly. Orders are processed much faster, making it possible for fewer employees to service more customers in the same amount of time. Mailing documents in the United States is a very common task businesses perform to communicate with their customers, because it is more secure than other forms of communication. But every day it gets more time consuming and expenses are higher. Here is where technology comes in to play an important role in reducing mistakes and the time it takes to complete the task. However, much of the available technology today requires an investment of your time or hard-earned capital, and sometimes both. That spells R-I-S-K to many managers. Good news for SMB owners! 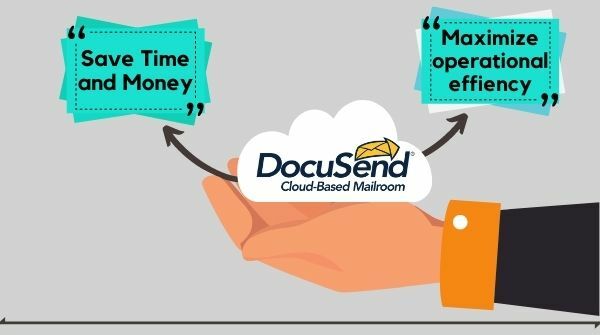 DocuSend’s cloud-based mailroom technology is different: it eliminates that risk completely—period. It prints and mails tens, hundreds, or thousands of invoices and other documents in the few minutes it takes to upload a PDF file. Research shows it saves about half the cost of having to print and stuff envelopes manually, and there are no minimums, monthly fees, or start-up fees. In other words, you start saving immediately. That’s why DocuSend’s retention rate is over 95%. How does using this technology improve business efficiency? Online postal mail reduces expenses, eliminates print equipment leasing and all associated costs, increases efficiency of receivables, and lets you deliver documents from anywhere to everywhere . Try DocuSend just once and you will find out firsthand why “Time is money” has never been truer. Any company needs to manage all expenses. Also by thesis writing services company can suffer from loss also sometimes. Company can earn profit as well. Company can earn more and can get many benefits from good earning and can use latest technologies.